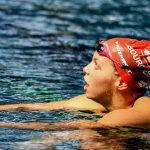 Affirmations are a proven way to develop a mindset that allows swimmers to get the most of themselves in practice and on race day. Here’s how. 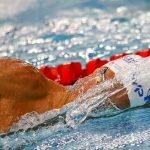 One of the most powerful things you can do to become a better swimmer has nothing to do with your technique. How talented you are. Or how jacked you are in the weight room. It’s the language you use with yourself when things get tough. You want to swim your best at the end of the season. You have big goals to churn across the surface of the water, stretch your hand to the finish, and see that shiny new PB pop up on the scoreboard. Or maybe you want to be a better athlete in training. You want to be the swimmer who shows up early to practice. You know that if you worked harder and didn’t give up quite so easily during the main set each day that you could see some nasty drops in your best times. There’s our good friend-buddy-guy mental resistance showing up at all the wrong times to push back against our grand ambitions. “Just toughen up,” is something you might tell yourself. A lack of mental toughness, in all its vagueness, is the usual suspect we lay blame on when experiencing mental resistance to pushing ourselves. If only we were mentally tougher, we think. But sometimes being mentally tougher means reminding yourself why you do what you do. That you are actually pretty capable. And that you have got this. That’s where self-affirmations can be an insanely powerful tool in your mental training arsenal. They are quick, descriptive sentences that focus your attention on your strengths and skills. They can be a little vague, they can be specific, but whatever you choose, they promote the core values and attributes that you for yourself. You choose the identity you want for yourself, and then build affirmations around it to solidify it. While self-affirmations come in a variety of flavors, my favorites are present tense affirmations. The future tense ones give off a scent of I’ll-get-to-it-eventually, while present tense affirmations imply that you are already that swimmer. Compare I am the kind of swimmer who performs well under pressure vs I will be the kind of swimmer who performs well under pressure. Not a huge difference, but with this stuff the subtleties matter. Affirmations put you in control of your mindset (and performance). When you boil it down, self-affirmations put you in control of your self-talk, and help you set the stage for the performances you want from yourself both during practice and on race day. 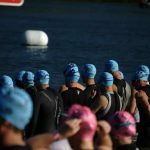 Instead of being someone who reacts to events, who is a passive participant to the ups and downs of the sport, you become an intentional athlete. You decide how mentally tough you are. You decide to capitalize on your strengths. This kind of empowerment will do wonders for your confidence as you churn your way over the tiled pool floor. 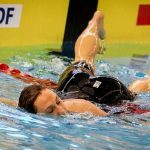 Here’s are some of the ways that swimmers can use self-affirmations, along with some examples to craft your own set of specialized self-affirmations. Self-affirmations help you look past temporary setbacks and stay focused on the big picture. These bad boys are particularly handy for dealing with adverse situations. The problem, of course, is that you can’t always predict what the adversity will look like—getting injured the day before a meet, getting sick, a DQ during finals—but you can ready yourself for how you will react. Research  has found that self-affirmations help people to deal with perceived threats by allowing them to see the bigger picture. This kind of perspective is essential for mental toughness and gives you enough perspective in times of difficulty to make smart decisions and push through. For example, if your first race at a big meet stinks up the pool, self-affirmations would help you see the bigger picture and transcend the initial setback. Instead of being blinded by something negative out of your control, your self-affirmations would help you stay focused on sources of positive self-worth. I stay focused on swimming best when things get tough. I don’t quit when the workout gets hard. I’m the kind of swimmer who stays focused on their process. I bounce back when things don’t immediately go my way. Use self-affirmations for polishing your technique. While they look motivational and are usually used to help steady confidence and nerves, self-affirmations can be used as a tool for a more efficient and technique. Think about a couple things that you want to improve technically, whether it’s improving your up-kick, sharpening your breakouts, or snapping your breaststroke kick like a bull-whip, and write affirmations to read before your next swim practice. I swim crisply across the surface of the water. I explode off the walls. I snap my feet together like a bull-ship when I kick. Use them to boost enjoyment and work harder at practice. 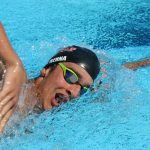 Swimmers tend to look at practice and hard sets as something they must suffer in order to achieve big things in the pool. But although the pain and agony that comes with pushing our body and minds to what we consider our limit can be difficult, it doesn’t need to be miserable. Working hard is a reward in itself. Giving your best is an achievement. “Grinding” is over-rated; you can work your tail off and enjoy yourself. I know, I know, this seems like a ludicrous proposition. But getting more enjoyment from working hard has exponential returns; we end up doing more of what we enjoy. I show up when things get challenging in practice. I love the chance to prove myself during hard sets. I’m the kind of swimmer who shows up to all the morning practices. Use them to help deal with pre-race nerves. 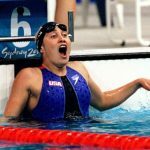 Reframing anxiety and nervousness as excitement is the fastest thing you can do to blunt the paralyzing and nameless anxiety that cripples performance for swimmers on race day. When you lessen the fear of competition and instead reframe it as an opportunity to showcase your skills and talents, you remove the mental parking brake of fear and doubt. Self-affirmations in the weeks leading up to competition can help you set the stage for what kind of mindset you have when you walk up behind the blocks. I love the chance to race and see what I am capable of. I look forward to racing faster swimmers. 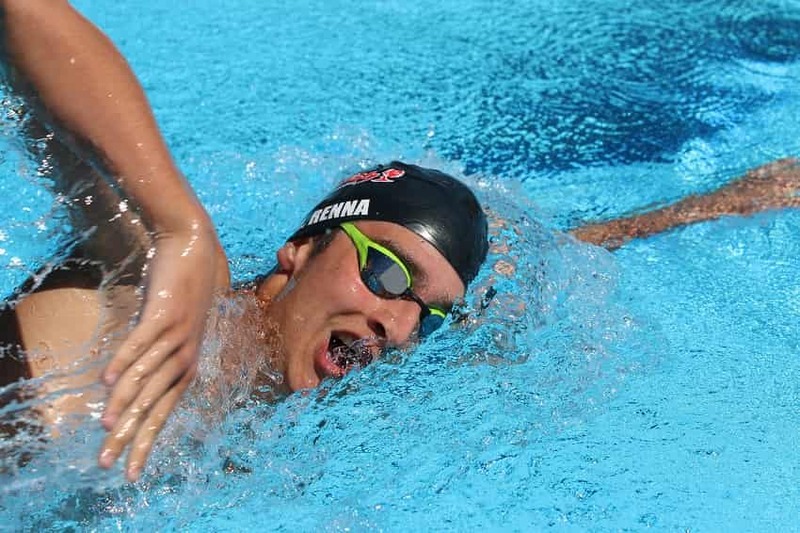 Nutrition and lifestyle habits are things swimmers all struggle with. Whether it’s not getting enough sleep, or eating mindlessly, being effective in our lifestyle habits presents an additional challenge above the work we are doing at the pool. 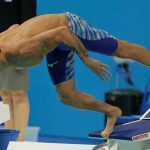 Performance in the pool is intrinsically linked to how well we recover between our workouts, and this falls largely on the shoulders of how seriously we take our diet and sleep. So why not throw a couple affirmations at improving this stuff, too? I treat my body like a Ferrari and not like a dump-truck. I make getting a full night of sleep a priority. I value my recovery time away from the pool. I act like a champion in the kitchen and in the pool. Affirmations are great because they help you to reinforce the things you want for yourself. You have a chance to define your self-identity and affirmations serve to reinforce them. Write them out, put them somewhere easy to see (so that you actually review them frequently enough to have a lasting impact), and look at them often. Read them when you wake up. Before you go to practice. Before you go to bed. Jot one down after each practice in your log book. Write them out and put them on flash cards for easy access. Just like anything else worth developing, using self-affirmations to create a bullet-proof mindset requires putting in the reps. This Mental Training Workbook Will Help You Swim Like a Rock Star This Season. Confused about mental training? Want to unleash pro mode on your swimming this year? 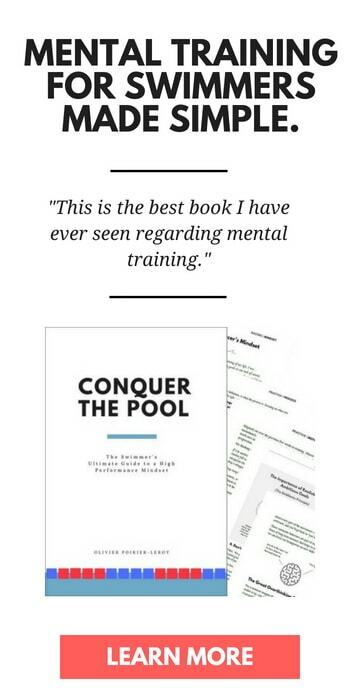 Learn how this mental training workbook will change your mindset and help you pummel your PB’s this season. Why You Should Be Grading Your Effort After Practice. One of my favorite ways to stay consistent and accountable in practice is this simple technique. 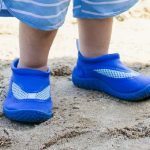 Takes about three seconds, and will keep you honest about the effort in the water.